We used timber effect uPVC windows to maximum effect in this home in Kent. 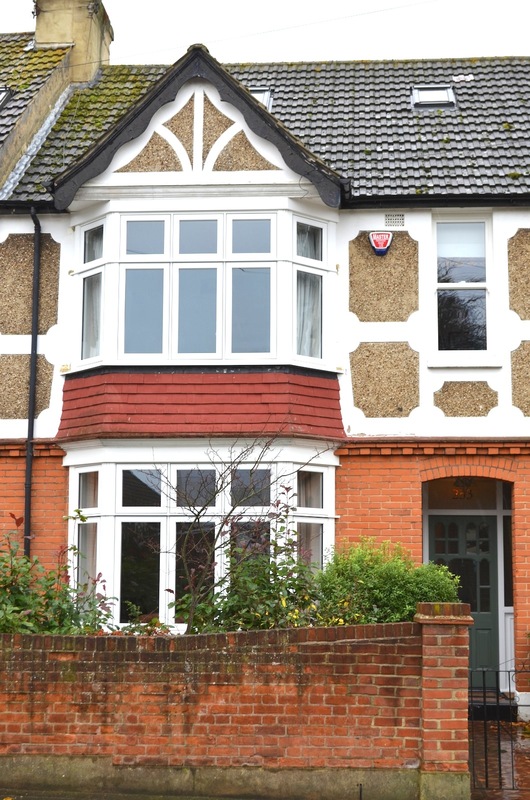 “Timber effect uPVC windows” is a term many members of the public would not be familiar with. Within the industry, it’s all we’ve been talking about for a few years now. The range of timber look or timber effect products that has hit the market has given the consumer an option they never previously had: the timber look without the maintenance. This project in Kent saw us install three of our core timber effect products. Our timber effect uPVC windows range is comprised of Residence 9 windows and doors, traditional woodgrain uPVC sliding sash windows and of course, English Door Company doors. This couple found us through the Find An Installer section of the Residence 9 website. They gave us a call and an appointment was arranged for one of our Directors Dan to go to site. As is custom, we took a sample of a Residence 9 window with us and a uPVC woodgrain sliding sash window too. As we knew they were interested in white woodgrain timber effect uPVC windows, we took white samples with us; not oak, grey or any of the other great colours available. After going through the company history and showing the product in great detail, the couple were very impressed with Residence 9 as a product, and could really see how the product has changed the market. They were most impressed by the mechanically joined outer frame and sash, which gives it a uniquely timber look. Similarly, they loved the uPVC white woodgrain sliding sash window, with it’s run through sash horns and sturdy feel. It was then onto the design of the windows. It was important for them to keep the previous design as closely as possible in terms of opening positions and transom drops. (A transom drop is quite nicely explained on this web page). None of this was a problem and everything was drawn up and quoted a few days later. The homeowners pressed the green button and the job was handed over to our surveyor, who attended site around a week later. The end result is certainly something the couple and ourselves are really happy with. Seeing the finished photos below, it’s not hard to see why our timber effect uPVC windows really have become very popular!